Kelly is Lenn Costner's daughter and has been around the car business her entire life. She is the office manager and handles all title work at the dealership. She is a graduate of Alexandria High School and The University of North Alabama where she was President of Phi Mu Sorority. She is married to Hal Patterson and has two children Tripp and Landry. 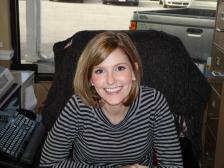 Hillary Ginn handles collections and the daily administrative duties for Lenn Costner Auto Sales. Hillary is the friendly voice on the other end of the line (Monday, Wednesday and Friday) when you call our dealership. Hillary is a graduate of Weaver High School and Lee University. Hillary is married to Wes Ginn and they have three children (McCoy, Murphy, and Milo). Clay Costner is Lenn Costner's son and has been around the car business his whole life. Clay is in charge of all our inventory and makes sure our service after the sell is SECOND TO NONE. 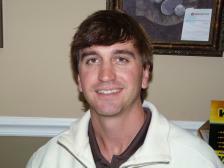 Clay is a graduate of Alexandria High school and Jacksonville State University where he played golf. Clay is married to Jordan Costner and they have a daughter, Lynley. Hal has been with Lenn Costner Auto Sales for 18 years. Hal has experience in finding good, clean vehicles for our dealership. Hal also makes sure the price is right so we can pass the savings onto our customers. Hal also handles all the internet marketing for the dealership. 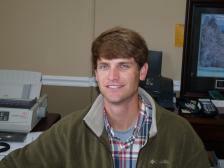 Hal graduated from Guntersville High School and The University of North Alabama where he played football. Hal is married to Kelly Patterson and has two children Tripp and Landry.